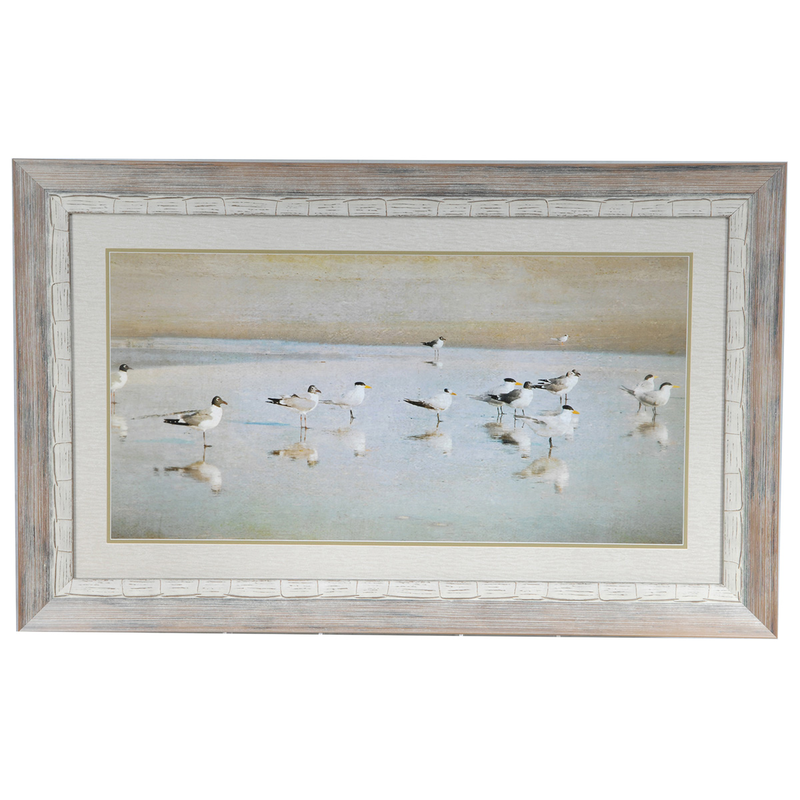 The Coastal Reflections Framed Art is the perfect accent for your coastal home, featuring an endearing flock of shore birds. ~ Ships from the manufacturer. Allow 2-4 weeks. Cannot express ship.